Sorghum, common name for maize-like grasses native to Africa and Asia, where they have been cultivated since ancient times. Up to 3 m (10 ft) tall, they bear seeds on terminal heads, or panicles. Grain sorghums are the staple food for millions of people in China, India, and Africa; elsewhere, sorghums serve primarily as livestock feed. Grain sorghums, also known as millet or Guinea corn, include milo, kafir, durra, feterita, and kaoliang, and are among the most drought-tolerant of cereals, becoming dormant under drought and heat stress and then resuming growth when conditions improve. Sweet sorghums (sorgos) develop a sweet juice in their stalks and are grown for syrup production and fodder. Grassy sorghums, including Sudan grass and hybrids of this grass and sweet or grain sorghums, are widely grown for fodder and pasture. Broomcorn sorghums produce long, stiff, straw-like stalks, or peduncles, in their flowering panicles. Historically these plants were widely used in making brooms, but plastics are taking their place. Johnson grass, a perennial sorghum relative that is native to the Mediterranean region, is often a serious weed in warm areas. Plant breeders have developed dwarf grain-sorghum hybrids, about 1 m (32 ft) tall, adapted for harvesting by combine. Widely grown in the central and western United States, they have resulted in a dramatic increase in sorghum use. Current research focuses on increasing insect and disease resistance, drought tolerance, and yields of grain sorghums; and on improving the forage yield and quality of forage sorghums. 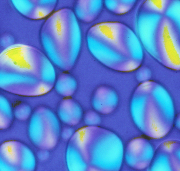 Increased use of liquid sweeteners has expanded interest in sweet sorghums for this purpose. World production of sorghum grain approached 70 million tonnes in the early 1980s. 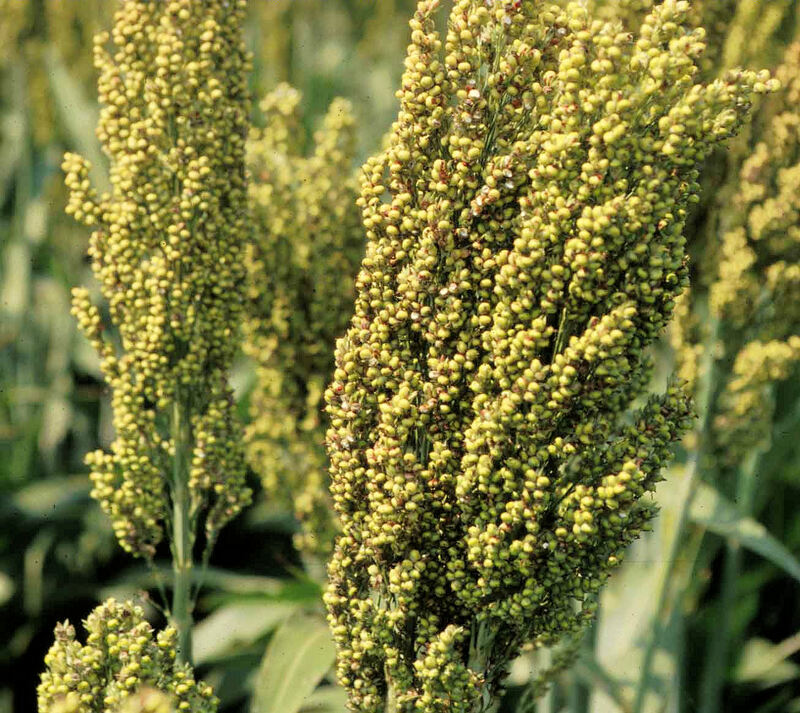 Sorghum is the worlds fifth most important cereal, in terms of both production and area planted. Sorghum is grown in Africa (16%), Asia (36%), Central- and South America (21%) and USA (20%). Average protein content of Kansas grain sorghum was in 1999 8.6 percent, average starch content 74.5 percent and average oil content 3.4 percent. In other areas more typical values of 12-14 % protein is found. Sorghum is a starch raw material and the starch extraction process resembles that of corn wet milling. Sorghum starch granules are typically 3 - 27 microns with 16 microns in average. Scientific classification: Sorghum make up the genus Sorghum in the family Poaceae (or Gramineae). Millet or Guinea corn is classified as Sorghum bicolor (with many cultivars), and Johnson grass as Sorghum halepense. Waxy sorghum is a special variety free of amylose.